Who knows the mind of Starbucks? Why they decide to release slightly different versions of the same ornament in various parts of the world is unknown. Yet for a few years they have done just that. 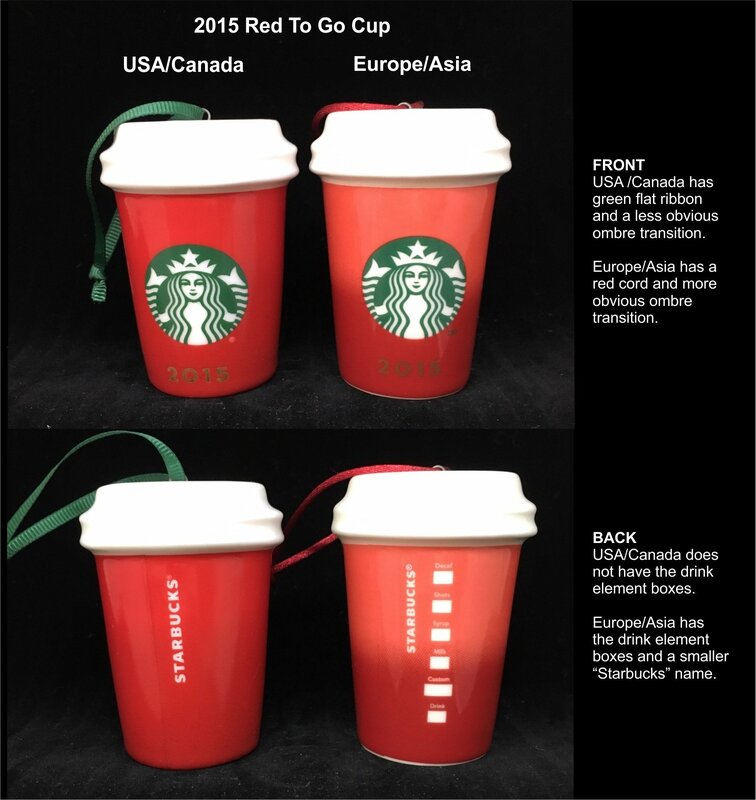 In 2015 it seems they released two versions of the Red To Go Cup, one for North America (USA/Canada) and one for Europe and Asia. Prior to this year, Japan has had a specific ornament just for them. What’s interesting, is that the North America version didn’t match the actual paper version of the Red Cups very well. The ombre is almost imperceptible and there is no drink element boxes on the back. The Europe/Asia version has a nice ombre effect and does include the drink element boxes.